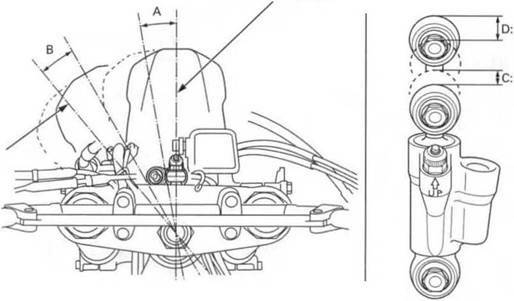 • The required steering torque when turning the handlebar fully (within angle B) is greater than the required steering torque when turning the handlebar slightly (within angle A). 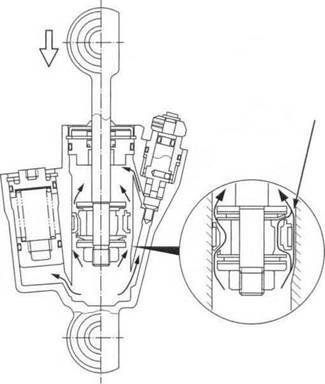 • When the steering is in the neutral position, HPSD generates no damping force and has no effect on steering torque. 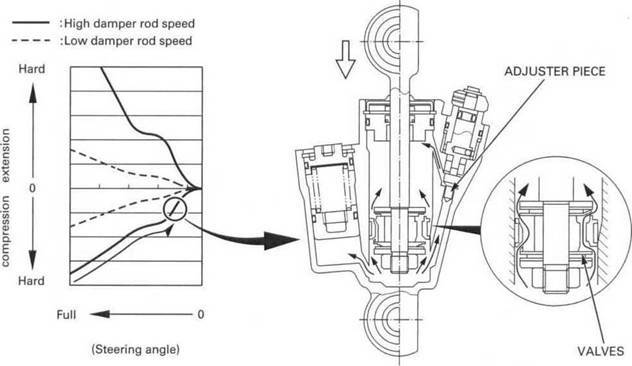 • The steering torque differs between the extension and compression of the damper rod. 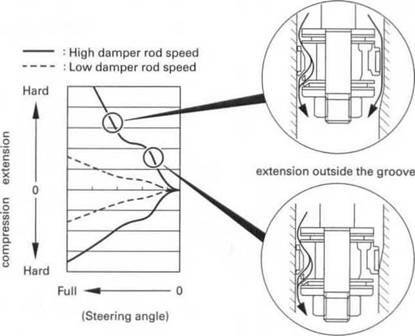 • The required damping force is controlled when the damper piston travels across the groove in the damper case. 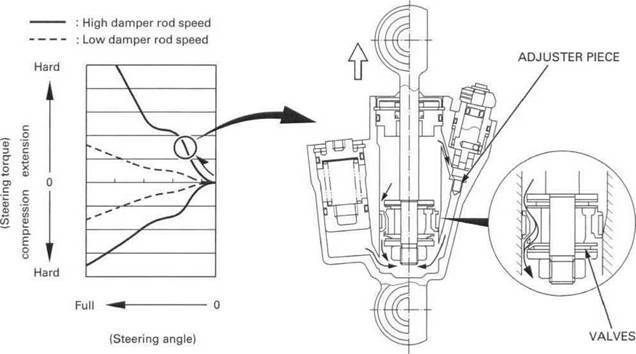 • The required steering torque differs between high and low damper rod speed. Turning the handlebar from neutral position to full angle (extension). 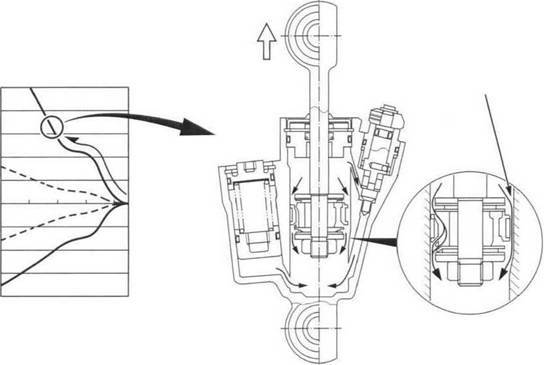 Damping force is generated when the oil flows through the valves and adjuster piece in the damper case. 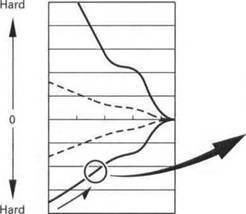 Damping force is controlled when the oil flows through the groove in the damper case. Turning the handlebar from full angle to neutral position (compression).